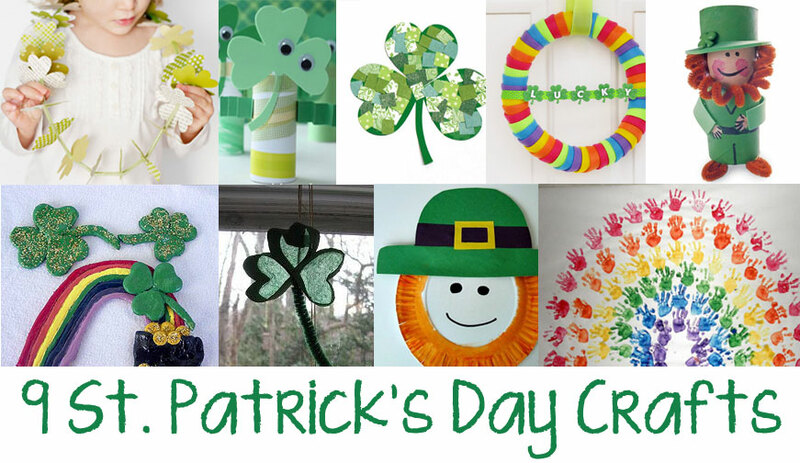 Want to have some fun with your kids or keep those little hands busy with fun St Patricks Day crafts? Here are a few ideas and you probably have some if not all of the supplies at home. 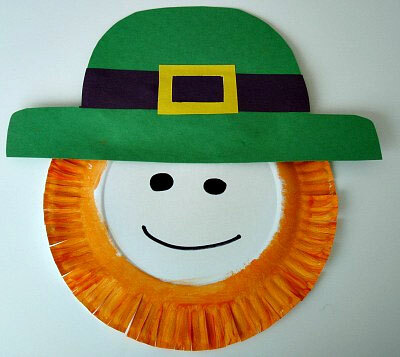 As an alternative to the scrapbook squares, you can use magazine cutouts or have the kids color white squares. This one is precious enough to keep! And, the kids will love getting messy. 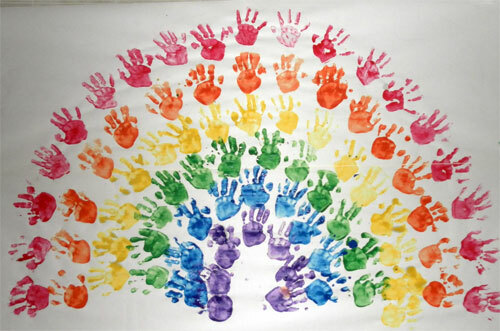 You might try washable paint for this project. 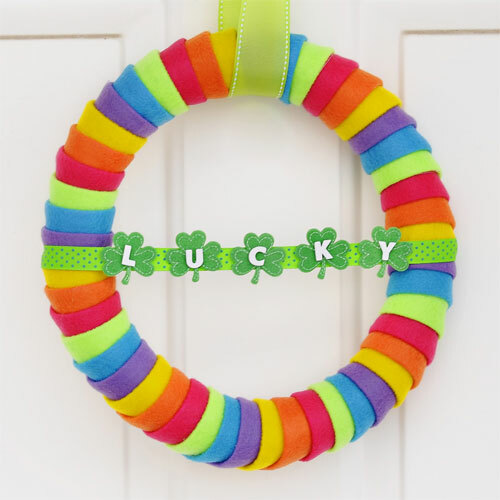 This cute idea is sure to inspire a fun project for you to share with your child. 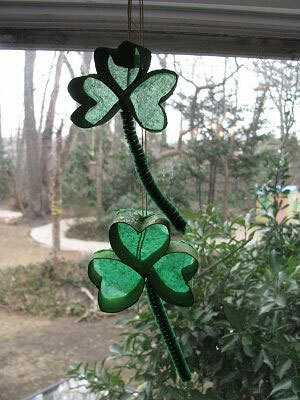 If you don’t have a shamrock shaped cut out, just use scissors. 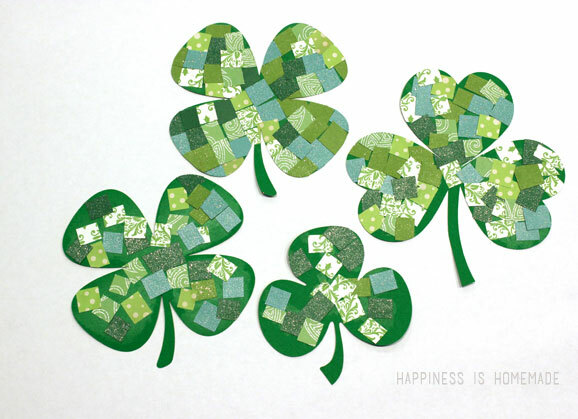 The clovers don’t have to be perfect and the process is a great way to entertain your kids. Get creative with materials you already have at home! Here’s another way to upcycle toilet paper or paper towel tubes. Isn’t he cute? 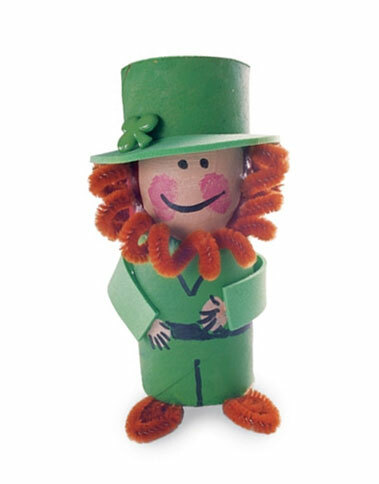 Here’s a festive little decoration for any room in your home. It’s easy to make and a great way to upcycle toilet paper tubes. Here’s one that may need a bit of supervision from you, but it looks like a fun group project! 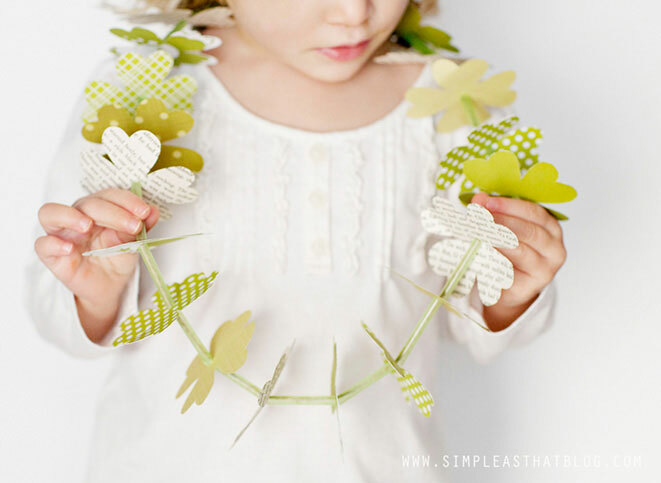 This one is pretty easy and little ones can get pretty creative! 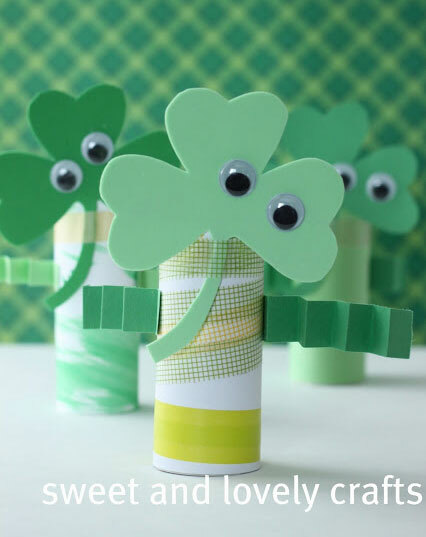 A great way to reuse paper towel or toilet paper rolls and tissue paper. 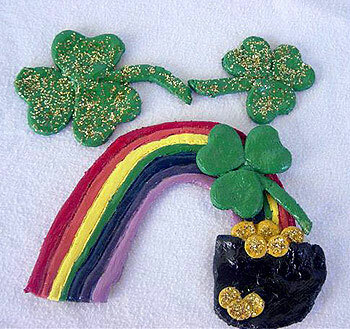 Here’s one of our favorites and your kids will love playing with homemade play dough!